Miss Magpie is creating Monthly Enamel Pins & more! Hello and welcome! My name is Maggie (aka @missmagpieart)! I am an UX designer & illustrator. I recently got into pin making (and collecting) and I wanted a place to create completely new, original and exclusive pin designs! Welcome to my pin club! My Pin Club is a monthly subscription-based service! 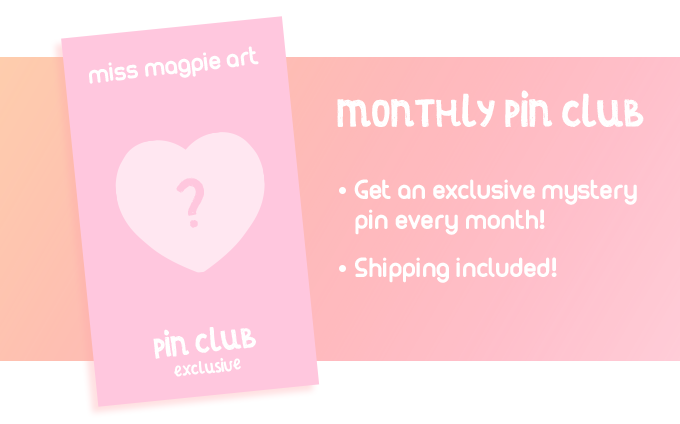 Monthly Theme: Pin club pins will be original designs! They will be inspired by cute girls, mythology, fantasy and colors! Join the club by choosing the "Join $14 Tier" on the right-hand menu. If you live outside of the U.S., you can join by choosing the "Join $24 Tier"! **Don't want to join the pin club but want access to everything else? Choose the "Join $2 Tier" and get access to all patron posts, sneak peeks, polls & more! Patreon will charge your account on the 1st of every month and pins will ship within 5-7 business days unless otherwise noted. U.S. customers should receive their pins 3-5 business days after shipping. International packages can take 2-9 weeks for delivery. If you change your mind you can update or cancel your pledge at any point up until the 1st when your account is charged! This tier is for U.S. customers. 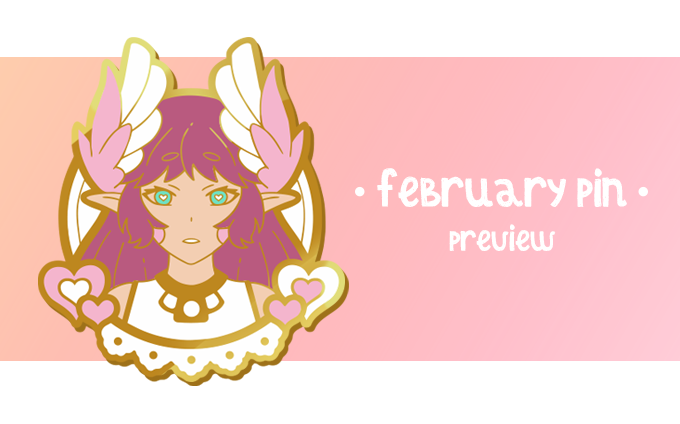 You will receive a monthly LIMITED EDITION enamel pin! This tier is for International customers. If we reach 50 patrons, every pin will come with a bonus vinyl die-cut sticker!